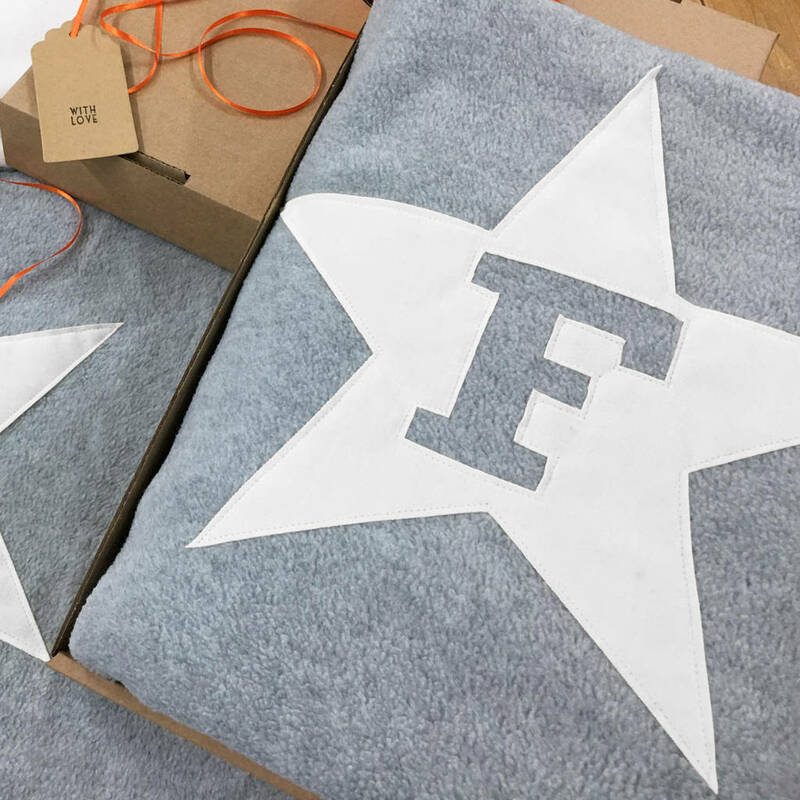 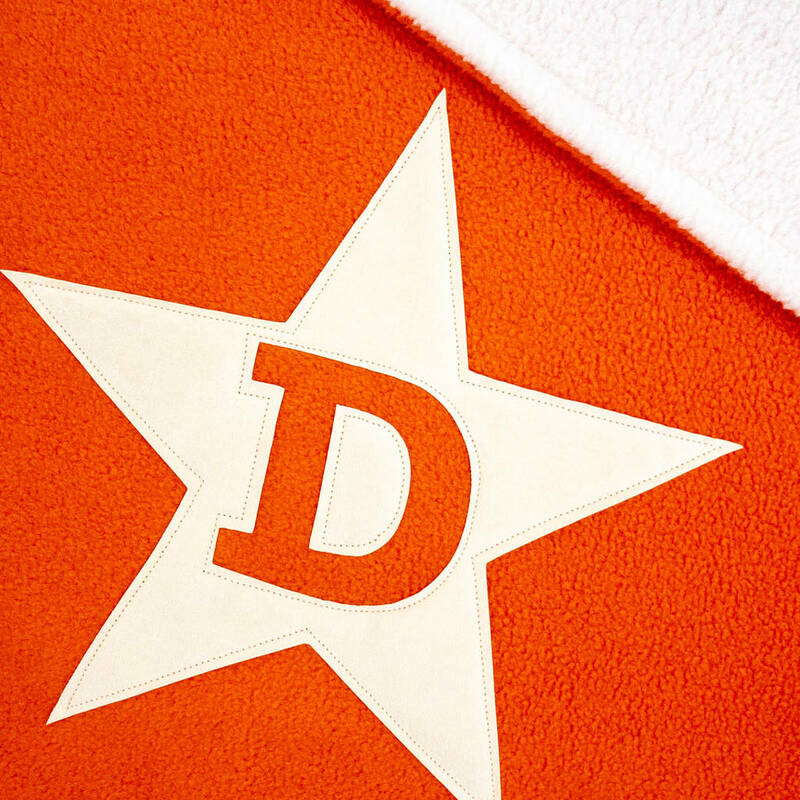 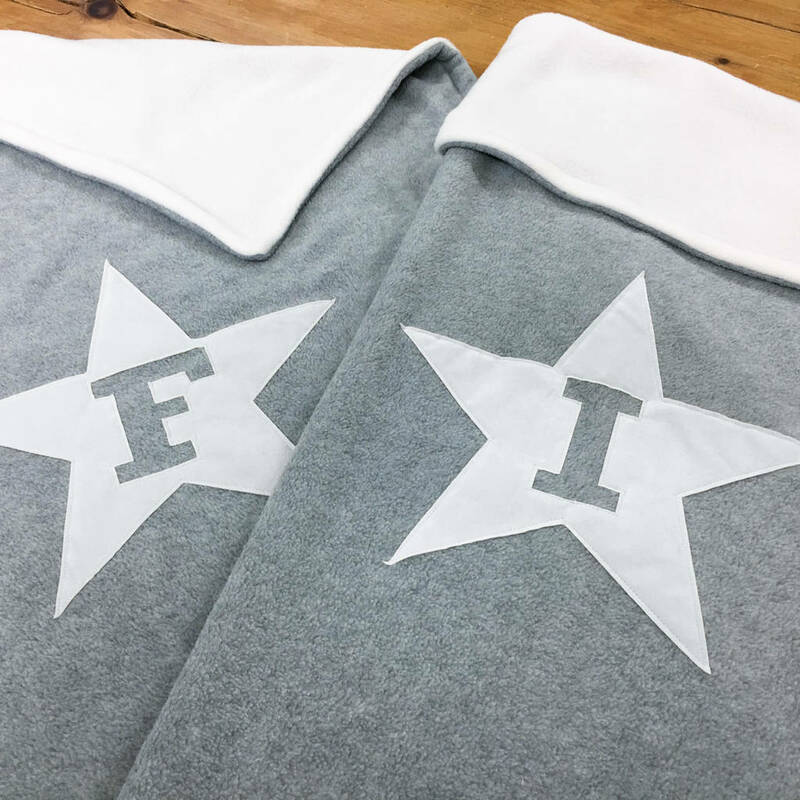 Luxury , bespoke, baby blanket with applique star design personalised with your baby’s initial letter. 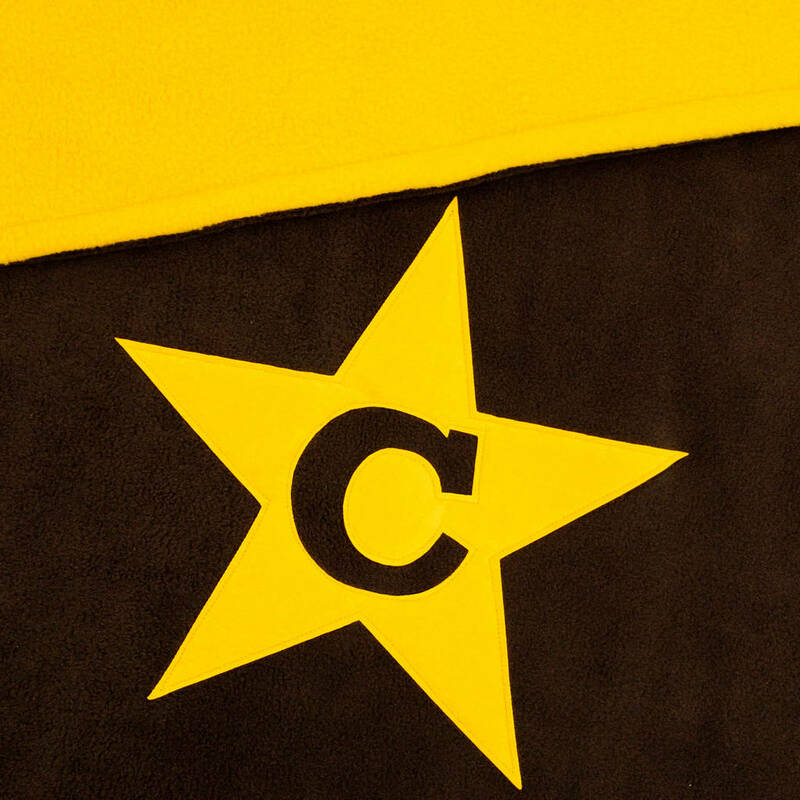 Blanket colours designed by you. 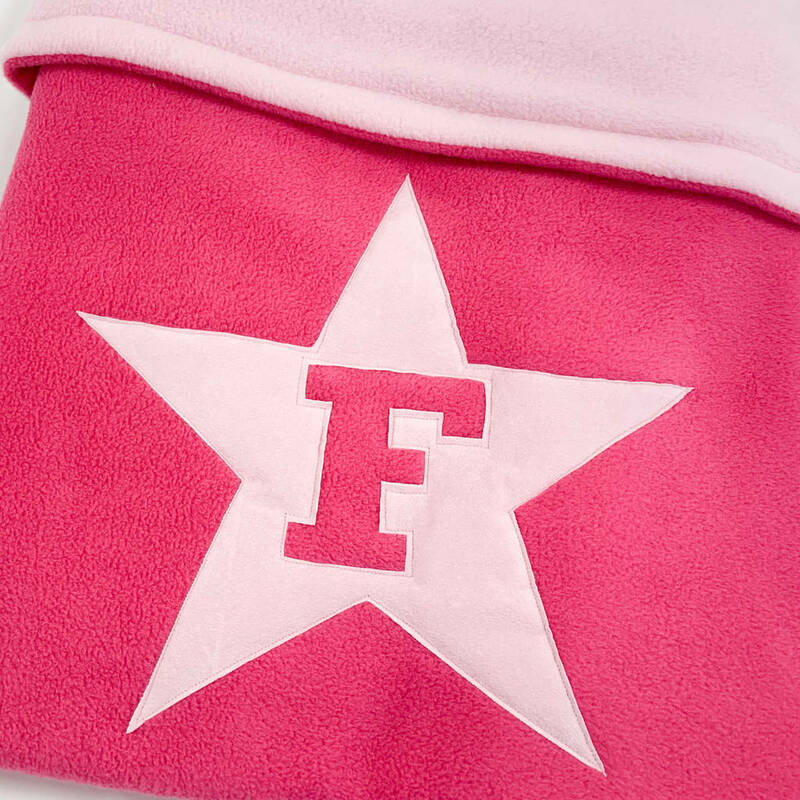 It’s super soft, warm and great for your little one to snuggle up with in the cot, pram, buggy or car. 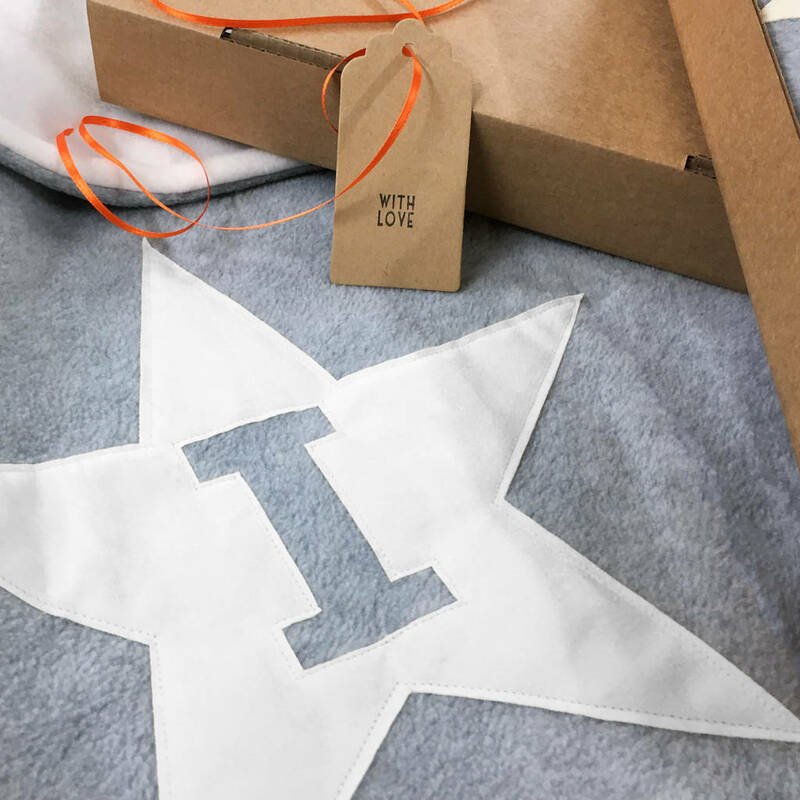 A versatile and totally bespoke blanket that makes a unique gift for christenings, birthdays or just to say I Love You. 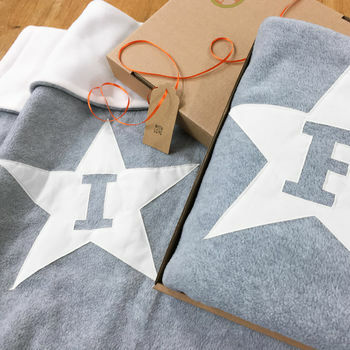 For that special touch add our kraft gift box with handwritten gift tag and ribbon. 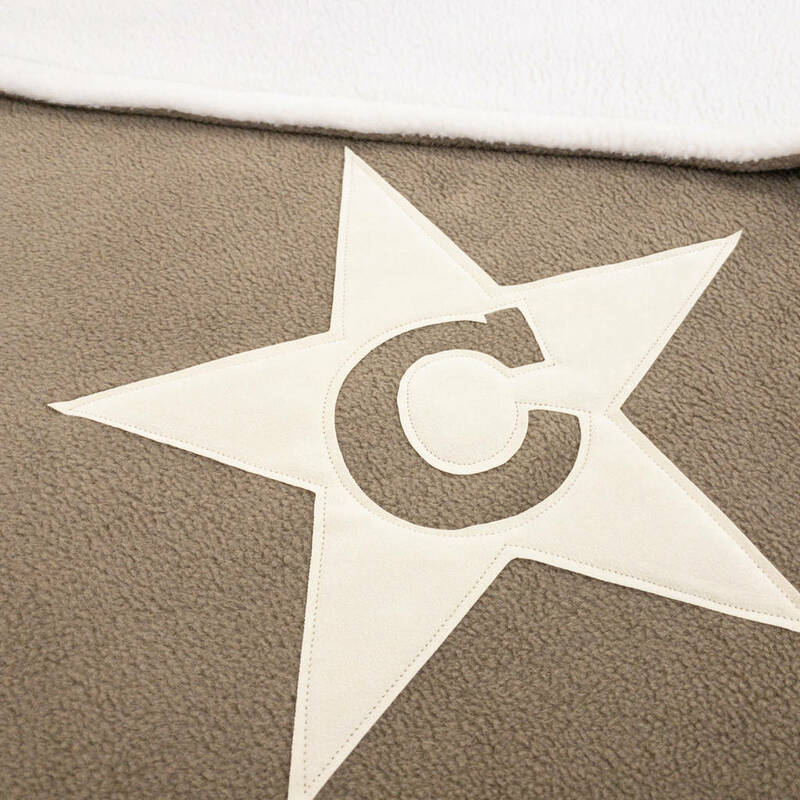 Lovingly handmade in the UK with heavyweight “double thickness” super-soft lambskin anti pil fleece. 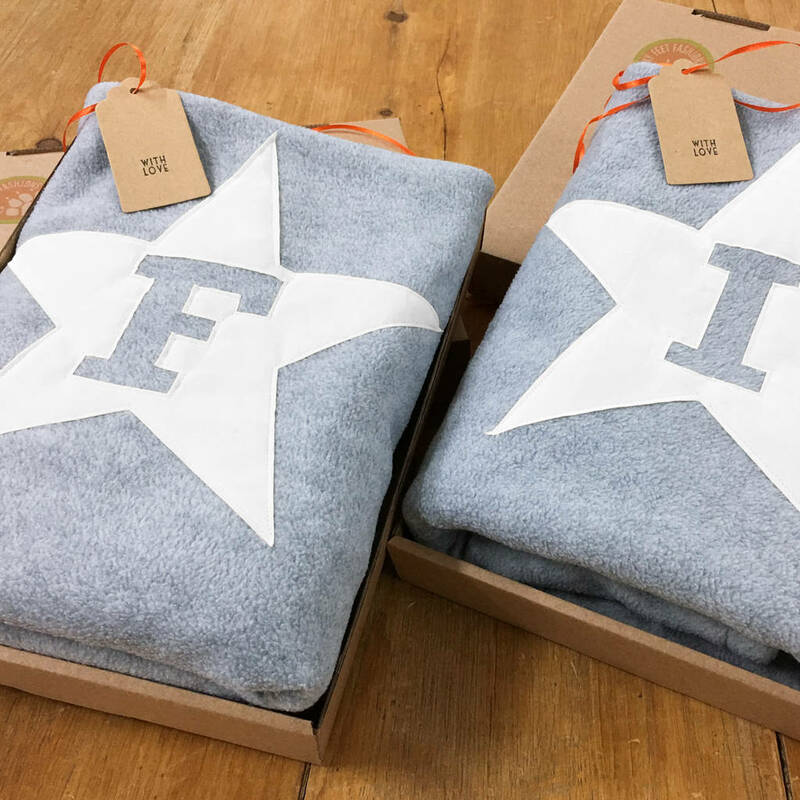 This product is dispatched to you by Funky Feet Fashions.